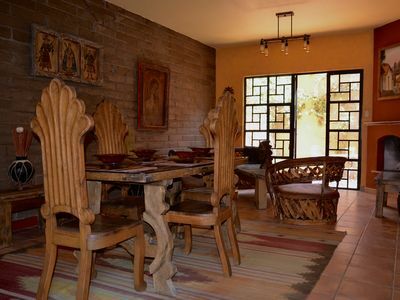 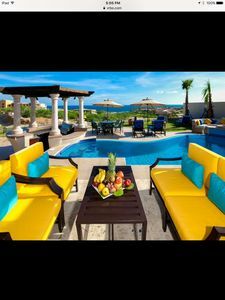 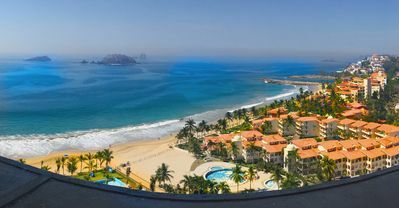 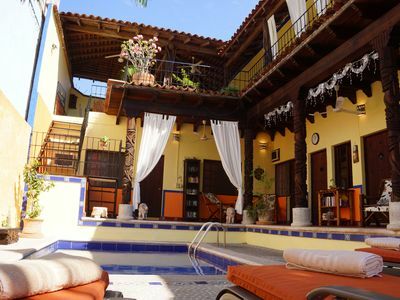 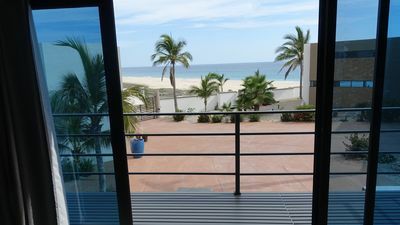 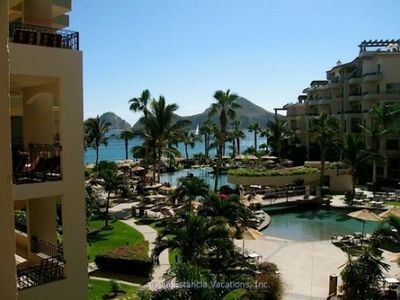 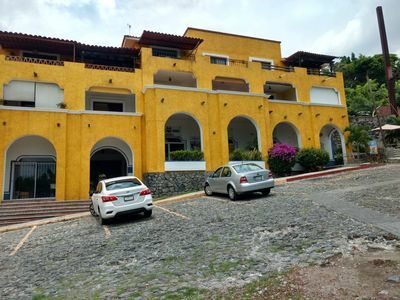 100 yards from the best beach in Playacar, 2 blocks to 5th Ave. and walking distance to Super markets and fresh fruit markets.This Adobe style apartment complex with pool and BBQ is located in a private gated community. 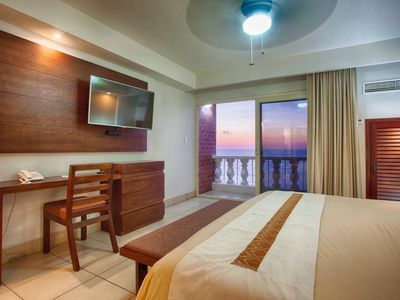 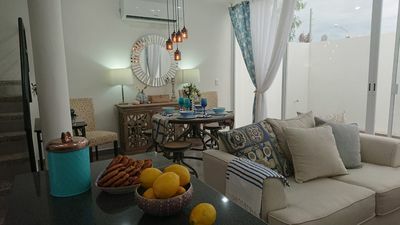 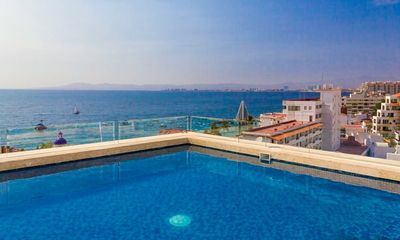 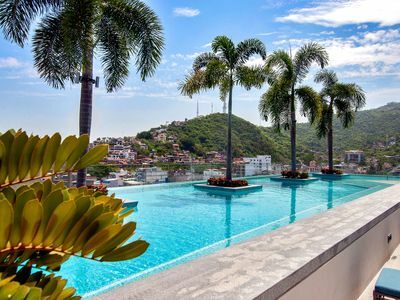 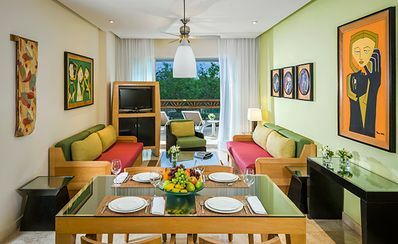 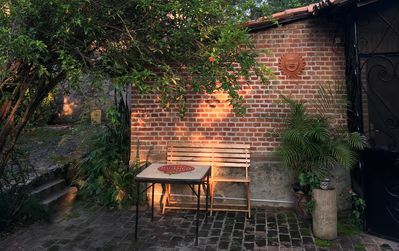 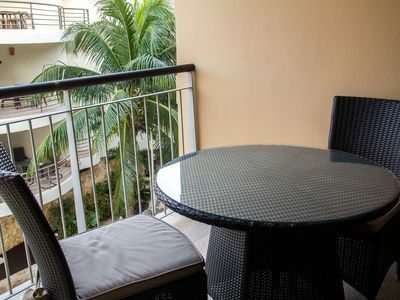 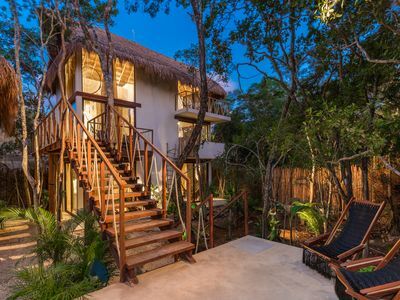 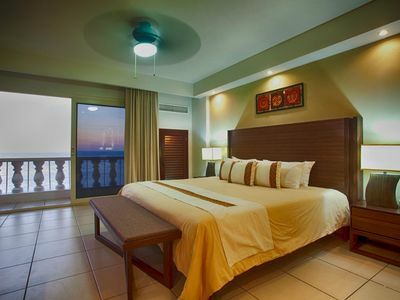 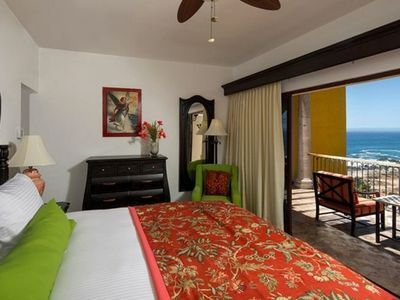 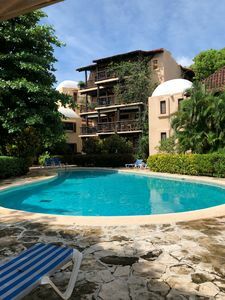 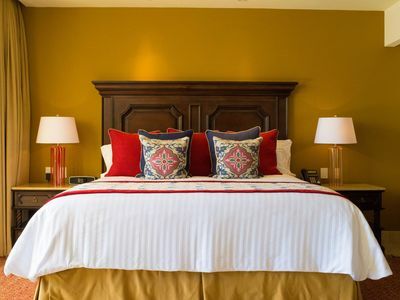 This apartment is the only apartment in this building on the 3rd floor so you can Lock the gate and open all terraces and still have privacy with great views in the tree tops, Mayan ruins,and pool area. 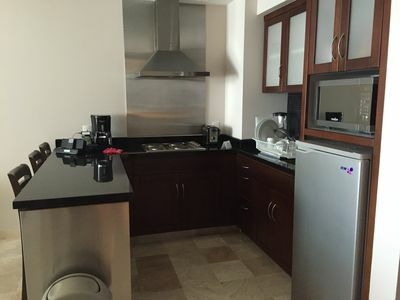 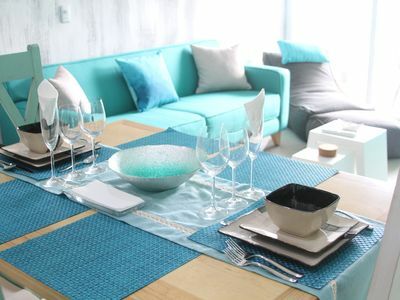 The apartment has a great kitchen you'll find every thing you'l need for cooking, internet, air conditioning!